I have created a new page for a campaign purpose and for early indexing I have submitted to Fetch as Google 3 times (10-19-2018, 10-20-2018 & 10-21-2018). After 1st time submitting to Fetch as Google some hours later I have searched at Google with the title of the page name nothing found but when I add domain name with the page title then it's seen. 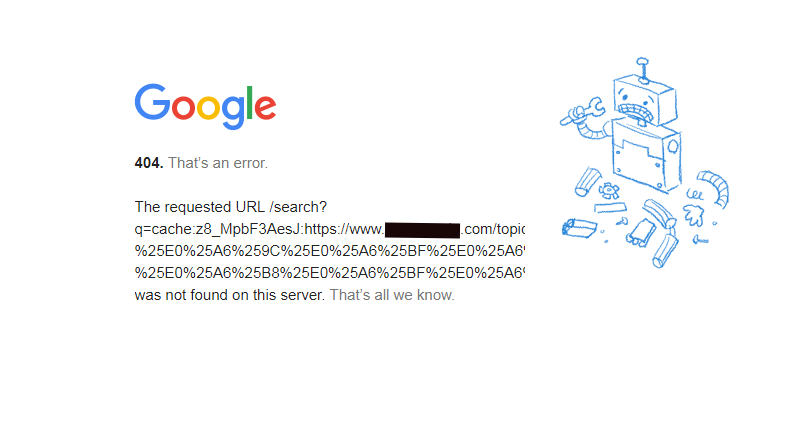 But the factor is this that when I tried to check Google Cached then the Google Cached page showing (404. That’s an error). The same time from Google Search Console I have checked that the page has indexed after submission. Yesterday and also today I have submitted and the result is the same as (404. That’s an error). At this time I have to index the page as soon as possible. How can I get the problem of a solution? Browse other questions tagged google google-search-console google-search google-index or ask your own question.